We have the ability to run a number of diagnostic tests in-house, such as blood calcium and phosphorus levels, total protein, BVD, and many more. Our clinic laboratory has the capacity to perform bacterial and mycoplasma cultures. Dr. Hruby also specializes in troubleshooting herd-based mastitis and milk quality issues on herds of all sizes. Drs. Lyle and Ogden Holshbach and Dr. Josh Kluenker are well prepared to handle any embryo transfer needs you have. We offer AETA certification, and services in superovulation, flushing, embryo grading, freezing, and implantation. We also can arrange in-vitro fertilization if desired. Maximize your bull breeding program by having your bulls tested for breeding soundness before turning them in with the cows. 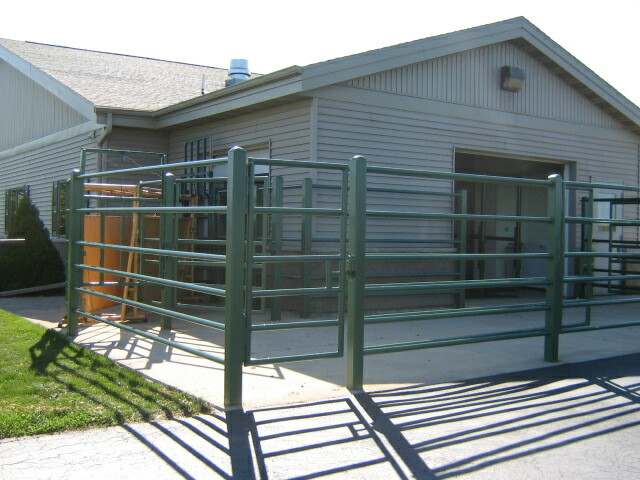 Our haul-in facility is equipped to safely and efficiently perform breeding soundness exams on beef and dairy bulls. These exams can also be done on-farm if there is proper restraint (i.e. a chute) available. Bulls are evaluated using standards established by the American Society for Theriogenology.